Black and White and Loved All Over: Some Happy Things. These patched knees. I have a pair of Abercrombie + Fitch jeans that I've had since 2002 and the knees look just like these, minus the awesome patches. 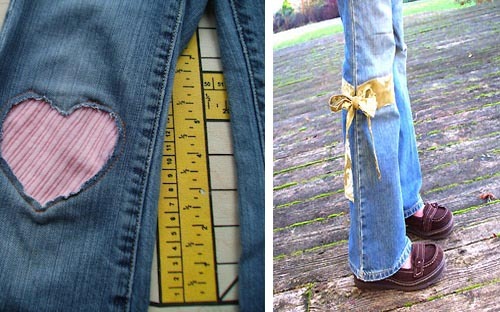 I love everything about this fix-up, especially that she used mismatched upholstery fabric and contrast X-stitching. 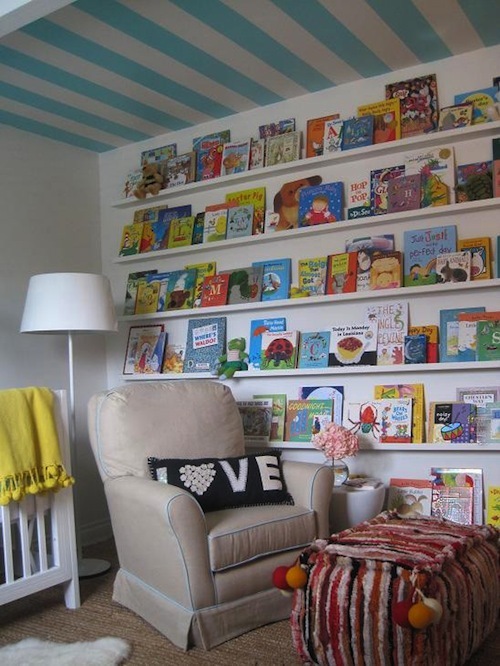 The bookshelf in this nursery. It would be like living in a bookstore! This dessert. 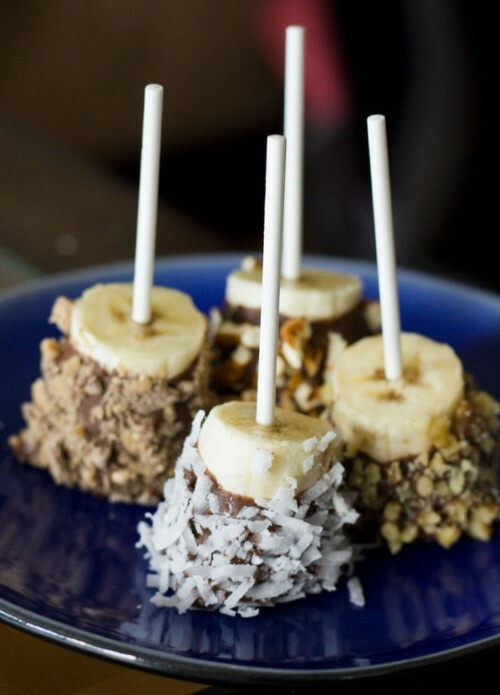 Banana dipped in Nutella, rolled in coconut, and then frozen. It's so delicious and inexpensive (compared to the ice cream bars I normally tear through). These garments made from pillowcases. 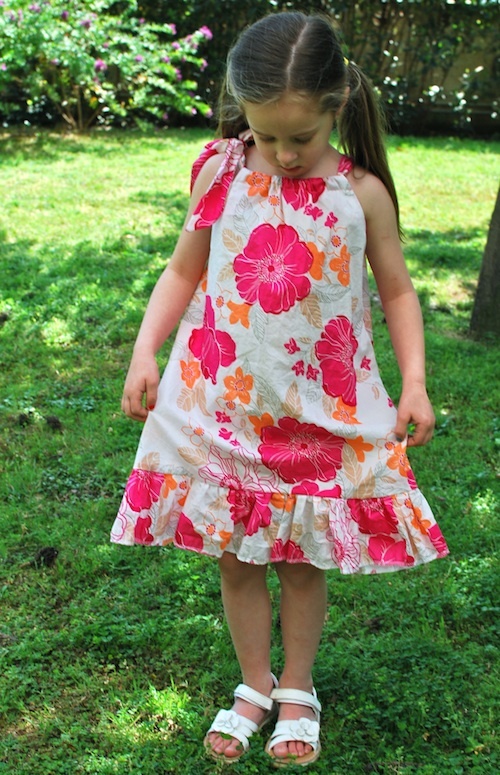 I love anything that doesn't have to involve a pattern and both of these -- a little girl's dress and a grown-up's skirt -- "look" super simple to whip up. This pillowcase was purchased for $2.50! 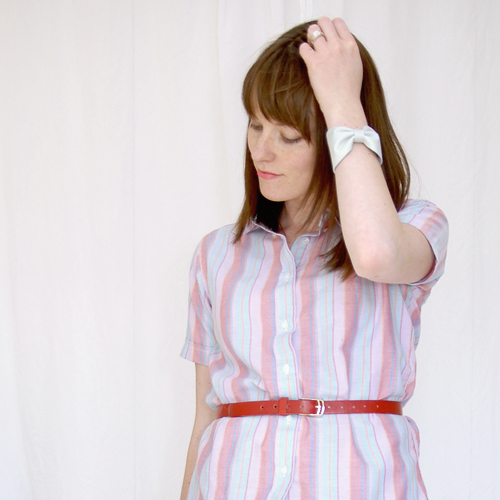 This leather bow cuff tutorial. 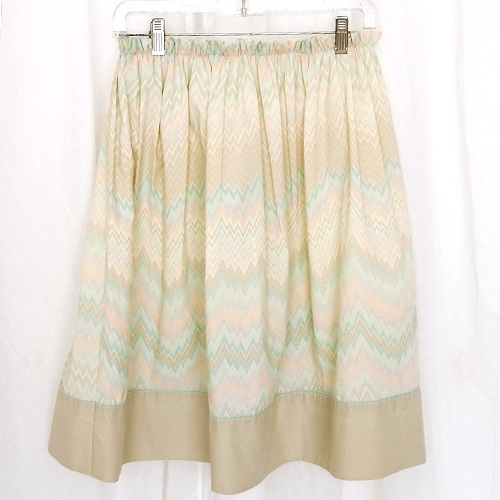 This is definitely on my "To Make" list! I just discovered this blog lately and I love it. She has great, simple tutorials. Pinterest.com. Am I crazy for not knowing about this site earlier? 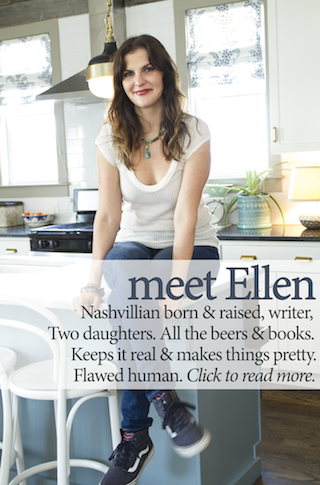 It's like hundreds of fashion, design, DIY, and food blogs smashed into one. I've been scrolling it all week, drooling at the pretty stuff and getting inspired. These toys. I've talked before about my love for vintage Fisher Price toys. Well, look at this! These three lucky little siblings have these all to themselves! The organization of it all just makes me feel good inside. Too bad Tessa would stroll up, pull every single thing off every single shelf and then knock the entire bookshelf over for good measure. Can we pls. make that pillow case little girl's dress together? It may actually be something I can tackle! 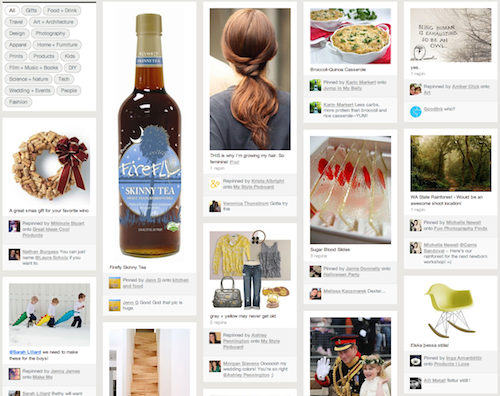 And I had to take myself off of Pinterest once bec it was all too overwhelming. Haven't been back since. haha. 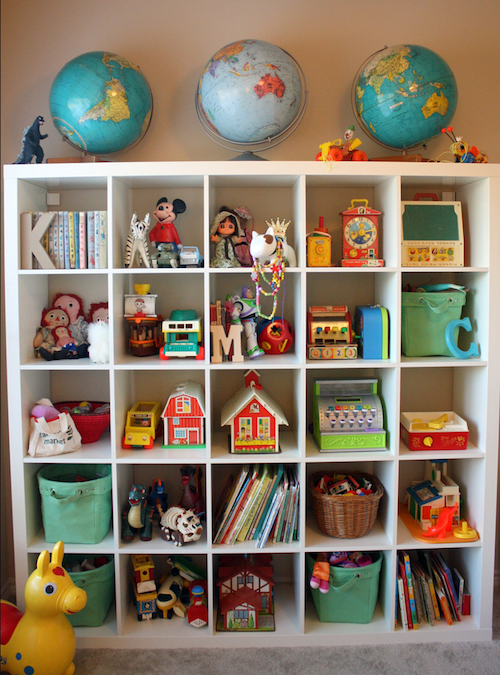 Love the cubby hole toy storage. I think we are going to build something similar for our living room. It's starting to get out of control. Hey Joy, yes I would love to tackle this project together!